The 4-H SPIN Club is a special interest club where four or more young people ages 9-18 gather with a volunteer and, for at least six sessions, learn about a selected topic of interest. Topics vary according to the volunteer’s expertise, and can include the natural world, heritage arts, science and technology, photography, music, gardening, shooting sports, and more. 4-H SPIN clubs are led by volunteers who have a passion for learning and want to share their knowledge with young people. We are looking for adults who are willing and able to teach what they know and love to young people in local communities. We are planning now for SPIN clubs that will meet in the next three to six months. A SPIN club meets for at least one hour, six or more times per year, and are planned around the volunteer’s availability. Meeting dates are chosen by the volunteer based on participants’ availability. The type of activity and number of participants help determine the meeting location. 4-H SPIN club volunteers can make a positive difference in the lives of the next generation of young people by sharing life experiences, practical knowledge, and a love of learning in subject areas they’re passionate about. 4-H is looking for volunteers who can encourage and empower youth in giving back to their communities through demonstrating their newly acquired skills. We are here to guide and support interested adults through the process of applying to volunteer, training, planning activities, and getting educational materials for your 4-H SPIN club. Join us in making the best better for youth and communities across Maine. 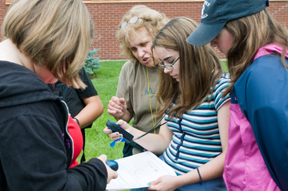 Easy-to-Use SPIN Club Curriculum: From crafts and animal science projects to shooting sports and technology, Utah 4-H has a great collection of curriculum specifically designed for the short-term 4-H experience. Simply fill out the survey and you can download the curriculum for free!